Random Wednesday: These are a few of my favorite things . . . BOOKS! Welcome back to Random Wednesday where today’s topic is all about my favorite books. Jeez louise, I could go on for days and days with this topic. Oh, but before I do, I just wanna toss in some major hotness for my friend, Kris Norris. Ooookay, now that I have all of your attention I’m going to talk about books. LADIES, eyes down here on the words please. Thank you. So, I love to read and I’ve always loved to read. In fact, the very first book I remember reading all by myself was a Goldenbook Bedknobs and Broomsticks. I was probably 5 and I read it over and over. 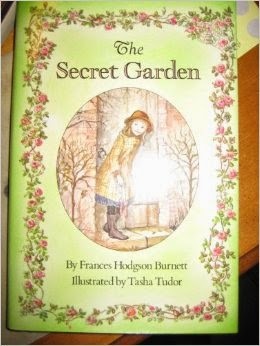 The next book I fell madly in love with and still love to this day is The Secret Garden by Frances Hodgson Burnett. I still have the first copy I ever received from my beautiful Gramma and, I believe, another 3 or 4 more editions. I started reading romance novels when I was probably 12 and, believe me, during the 70s they were horrible!!!! The men were assholes and the women were wimps. Every book I read I thought, “I can so do better than this.” I wrote my first book when I was maybe 13. Thankfully, that got lost, but I never lost my love of reading and writing. Also, romance novels have improved a billion percent since those early days. Now there are so many authors I love that I can barely keep up. 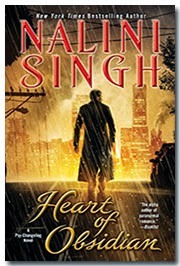 Nalini Singh – I love her Psy/Changeling series and Angel series. Jeez louise, her stuff just keeps getting better and better. Her last Psy/Changeling Heart of Obsidian I finished in one day. If you haven’t read her books I highly recommend them. Shelly Laurenston – She always makes me laugh! Her shifters are so amazingly fun and they get into totally ridiculous situations. I also love that her heroines are tough as nails and do not mess around. If you’re looking for something funny to read, she’s it for me. Nora Roberts/J.D. Robb – Hello, it’s La Nora! Everything she writes is gold. I finished her last book The Collector in a very short amount of time. I think it’s one of her best books. I loved the characters and the story. So much fun. Jeanine Frost – Love her Cat and Bones books as well as the other books that connect the series. I can’t wait for her next book about Vlad Tepish. He is hot . . . literally. Jayne Anne Krentz/Amanda Quick/Jayne Castle – I’ve been reading her since the very beginning and have all of her books under all the names. She never lets me down. Kresley Cole – I discovered her when I bought her 3 ebook release The Professional and it was hot, hot, hot. I am now starting her Immortals After Dark series and love them. Chevy Stevens – She doesn’t write romance. In fact, she’s found in General Fiction and her books are more psychological suspense. I love them and they are really different. 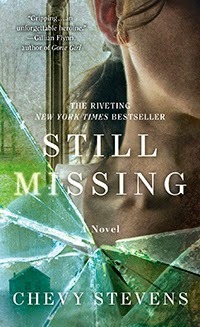 Her first book called Still Missing was so amazing that I read it in one day and it blew me away. It’s told in first person and the narrator was kidnapped and held for a year by her kidnapper. I won’t tell you any more than that, but I am telling you, you have to read it. Okay, so I could keep going on and on and on, but I won’t. I will let you get to the other amazing Random Wednesday ladies to see what they read. If you don’t know who they are you’re so missing out! So go over and see Bronwyn Green, Kris Norris, Jessica Jarman, Jenny Trout, Kellie St. James, and Tess Grant right now. Oooohhh… Still Missing looks like something I want to read. It *definitely* looks like a book my cousin will want to read. I'm gonna tell her about it. Thanks, Gwennie! Anytime!! I loved that book. As soon as I saw it I immediately took it back to my table in the cafe and started reading it. Couldn't put it down. The Secret Garden is one that I've never read, but always thought I should. Maybe I need to move it to the list. Well, you made me read The Secret Garden and it was…different. You introduced me to Chevy Stevens, JD Robb, Nalini Singh…and oh, the major hotness above. I think you are a good source of book recs! Still Missing! A friend from work gave that to me. I'll read just about anything and she loved it. She told me to not read the end first, which I never do, because it would ruin it. Man was she right. I was freaked out to the last page. I still get stomach cramps when I see someone loitering next to a van. I keep meaning to check out Singh. I should get on that! First… I'm in your debt. The hotness… just for me… you are far too kind… but I think every Wednesday post should have a little of that for me. I need it Gwen… you know this. And I'm with the others. Still Missing sounds fab…. Thanks Mary!!! Anytime, heck I could have kept talking about my fav books, but I had to stop since I didn't want the post to be ten years long. LOL! Me too! The book totally sucked me in and hooked me from the beginning. And the ending totally blew me away. I approve this list. 🙂 Not surprised I was nodding along as I read it. Thanks for the approval. 🙂 And I figured you would agree with everything since we have incredibly similar reading taste. And that's because we're goddesses.